Historiador Retrogrado Swiss-Made but Latin through and through! 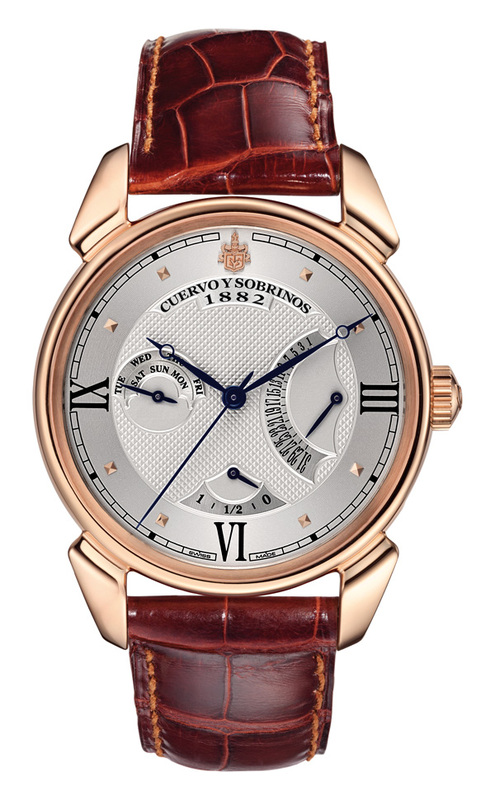 The Historiador Retrogrado is the quintessential Cuervo y Sobrinos timepiece, when 1940s Havana meets centuries of watchmaking expertise. Each model becomes an expression of this uniquely individual and eclectic style. The form of the Historiador Retrogrado case takes us back to a watch which the brand made early in its history, while the name is inspired by its functions of day indicator and retrograde date. 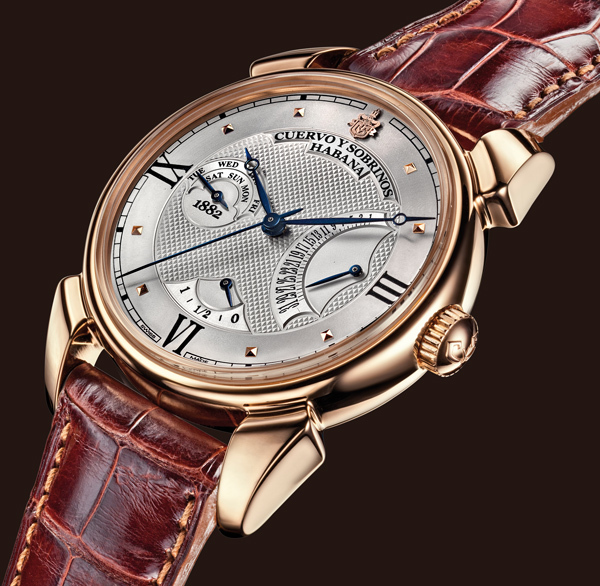 The pink gold-plated case houses an automatic movement while the traditional "Clous de Paris" decoration of the dial makes an elegant counterpoint to the blued "Breguet" style hands. This is a statement watch for a gentleman of character and sophistication who will never compromise on style or performance. Available from February 2013.